I'm interested in the 2 Mary Poppins pins but gotta get to work. Will follow up shortly, if that's ok! Edit: Reread the rules, so I'd be interested in the marquee as the priority. What is the Aunt Sarah PTD? Could I be put down for Tigger? Thank you so much!!! 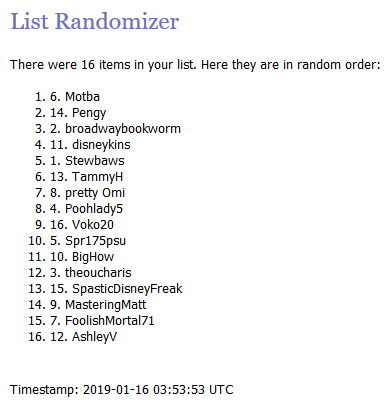 Hi Tessa, please remove me from the Tigger PTD lottery List. Thanks so much for doing this for all our DPF Members unable to get these great pins on our own. Sure, I'll hold the marquee for you for a bit. She's the owner of Si and Am in Lady and the Tramp. Also, the Tigger PTD list is updated. You know what, I'll go on the lists for everything that's coming up if that's ok? I understand I can only "win" the opportunity to purchase one pin, per release batch. 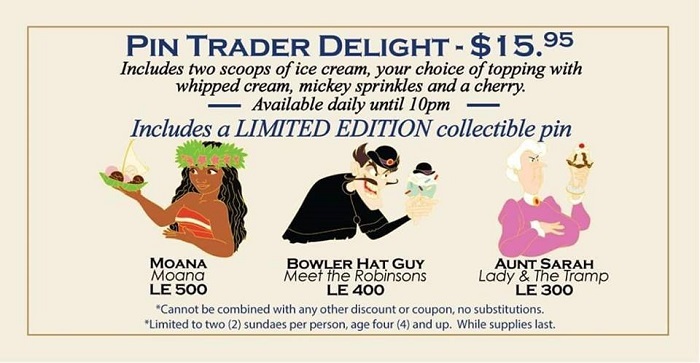 I didn't see it covered in the rules, but I'm going to assume, like even if I got a Big Head Kitty, I could still get something from the next whole release, like say ice cream release? Or are there gonna be rules about having to wait till the next release? Correct, you can win one per release, so you could win a big head kitty and then also win a heroine cutie if you are drawn for both. At this point I am not doing a cool down period; if it gets to be a problem where the same few people keep winning everything I will look into it but I don't foresee this being a problem right now. Thanks for letting me know! I was wondering if you could add me to the list for Tigger? I’m nominating you for sainthood for doing this! Thanks huge! Can you please put me down for big head mochi and cutie Mary Poppins? Thanks! Can you put me down for Mochi please! Just under two hours left to enter for Tigger and Fflewddur! Not entirely sure if it’s still open but if so, could I be added to the Alice Nesting doll set drawing. Yep, that's open until tomorrow morning (as well as the end of the one-per-person in the leftovers section). The PTD lists are now closed, and drawings will happen in a bit. Good news, though! @pincrazy has a Tigger and very generously offered it to me to use for the drawing, so I will be able to draw two winners for him! Payment and shipping will still be handled through me to make things easy. May I be entered into the Alice Nesting Dolls drawing. Thanks! Time to draw for the Tigger/Fflewddur pins! Posting for video placeholder, next post is the winners. Tigger is sold out so I can no longer pick up any more. *note - Fflewddur is still available at DSF so I can still pick him up. Signups are now open for him again and will be added on a first-come, first-served basis after SpasticDisneyFreak. SpasticDisneyFreak and AshleyV like this. I have had time to think and I would like to be put on the list for the Alice set if it isn’t too late, and if it is still available, I will happily take the Aunt Sarah PTD. The one-per-person cap on the leftover pins is lifted, and the list for the initial Alice nesting doll drawing is closed. I will be doing that drawing soon. I'm very sorry, but the cutoff for entries for the Alice drawing was a few minutes before your post. But once I draw the winner, I can put you at the end of the list. And as the first to request her, Aunt Sarah is yours. I called DSF last night just before close and they still had nesting doll sets available. I fly out of town on Monday evening for work, but if all goes as I hope I should be able to stop by every day between now and Monday. If so, and if the sets last that long, I should be able to fulfill all current requests for the set. If anyone else would like to request an Alice set they may, but keep in mind that you will be put on the list after everyone from the drawing, and with my time constraints it is unlikely that I will be able to pick one up for you. But, some pins stay at DSF for quite awhile, so as long as they haven't sold out by Saturday when I'm back in town, I can resume pickups for them. It’s fine, you don’t have to put me on the list for the Alice nesting set. Thank you though. Can I add myself to the Wendy Cutie, please? Thank you.